Austin, TX - The weather was beautiful, the food was delectable, and the children were magnificent. 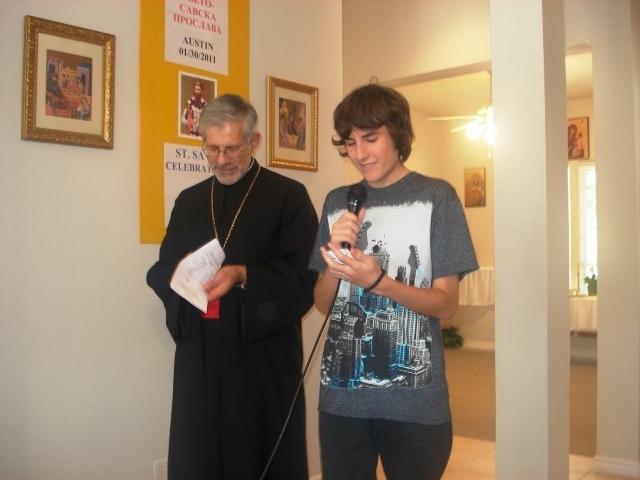 This year’s St. Sava Celebration was a success by every definition of the word. 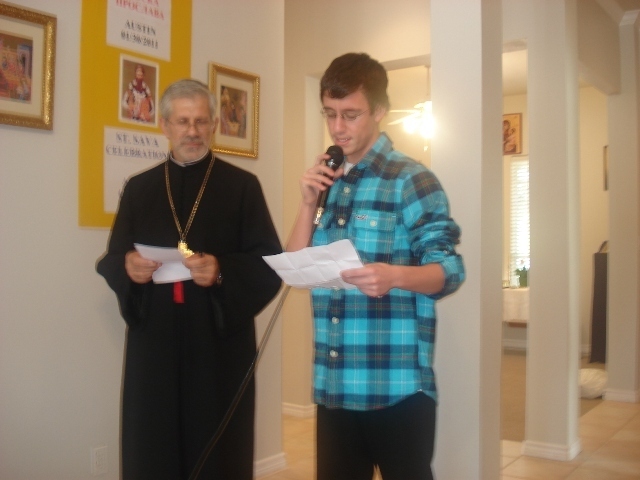 The lovely Sunday morning started off with a Divine Liturgy lead by Fr. 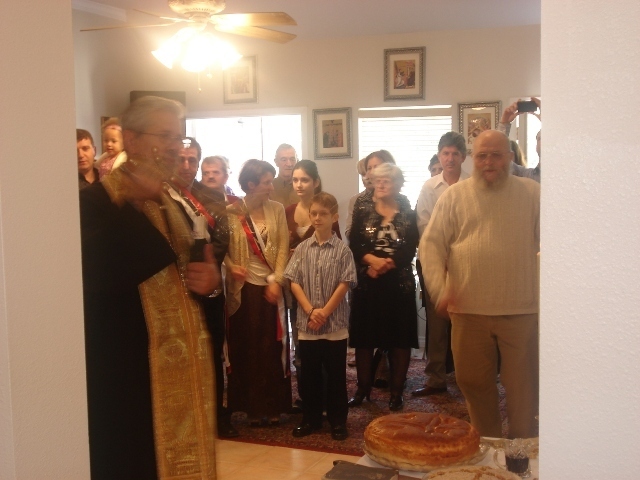 Dragoljub, with a large number of our parishioners in attendance. Our dedicated choir was assisted by our visiting guest Mr. Radisa Ninkovic, who lent his enchanting voice to strengthen our lyrical dedication to the Lord. After the service, adults and children alike spread out across our vast church grounds, engaging in friendly conversation, greeting old and new friend and enjoying the beautiful weather God had blessed us with for such a special day. 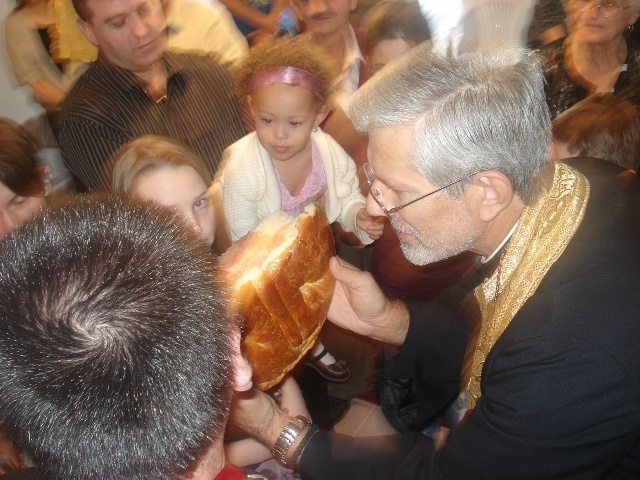 After a brief social hour, Father Dragoljub blessed the Slavski Kolac and Slavsko Zito. This year kumovi were Sveto and Violeta Jovanovic with their children Milena and Nemanja. The wonderful potluck lunch that was prepared by our parish families, which included a roasted lamb a delicacies no Serbian festivity is complete without. 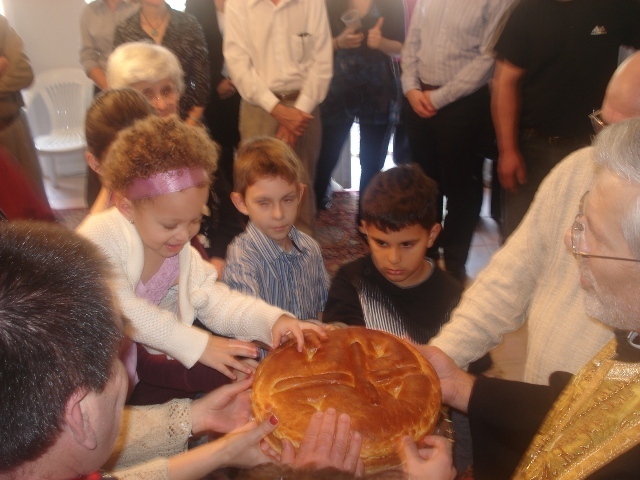 After lunch, the parishioners all gathered together to watch our joyful youth, between the ages of 3 and 16, recite their poems and declarations of love and adoration to our beloved St. Sava. 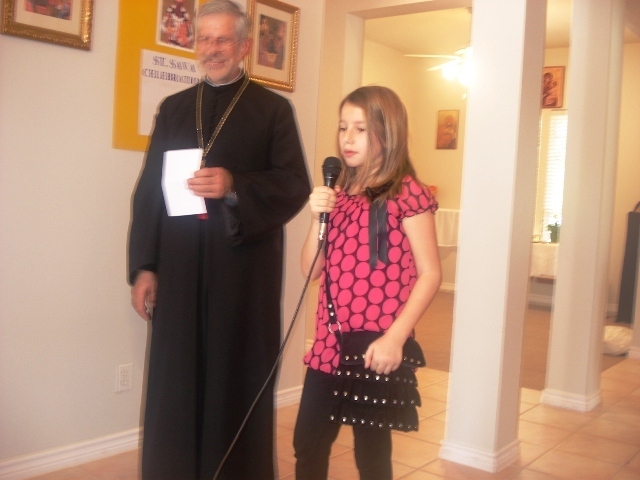 Seeing all of the happy and enthusiastic children present for the St. Sava Celebration was a tremendous feeling. It was quite a lovely show indeed. After the recitals, it was time to play for adults and children alike. A traditional Serbian folk music came on through the speakers, coffee was made and dessert was brought out to enjoy. Most of the youth and some of the adults partook in a friendly game of soccer, while others enjoyed exploring the church grounds, socializing and catching up with their dear friends. The celebration was such a success; it lasted well into the evening. It was such a blessing to see so many familiar and friendly faces, and even some new ones come together. 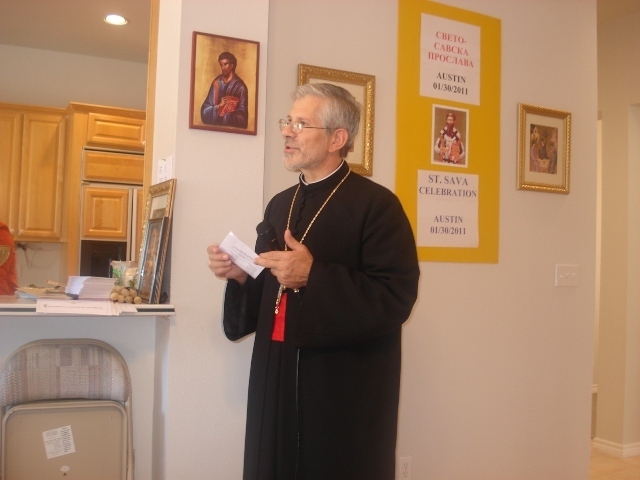 However the most memorable part of the entire celebration was that for the first time in history of the Austin Serbian community, it was held in our very own Church home. The pride and joy of having a place of worship in and to call our own is priceless. Watching the youth interact together, especially the very little ones gave everyone a very heartwarming feeling. We are paving the road for our children and for future generations to learn about their faith, their heritage and their rich culture. We want to thank all of the families for attending this special and monumental occasion. To all of the chefs, a big thank you for preparing such lovely feasts for us to enjoy. 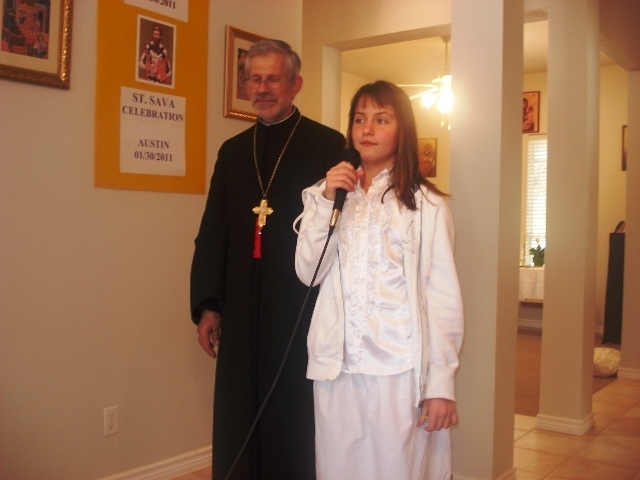 And most importantly a special thank you to all of the blessed and talented children that participated in the St. Sava celebration each in their own special way. May the good Lord bless us with many more of these days and memories for years to come.